Nicaragua was part of the first region to became under Spanish Control in 1524...this region , The Spanish Captaincy of Guatemala declared it's Independence in 1821 and from 1823 to 1838 was part of the United Provinces of Central America.. 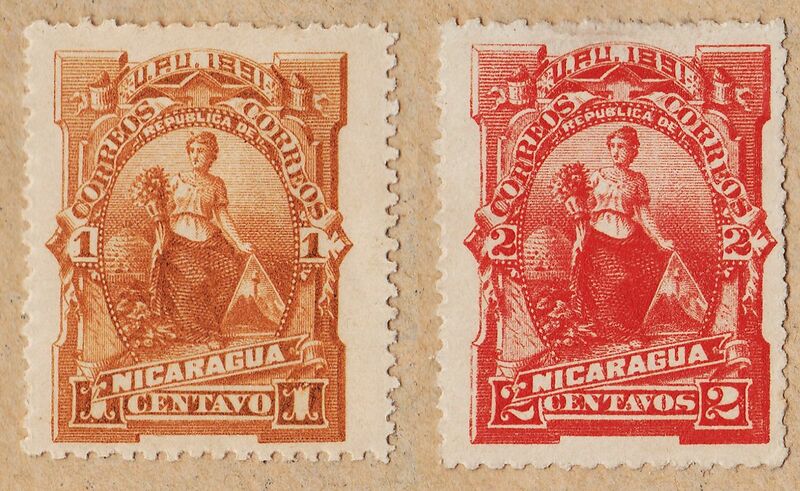 Many revolts and Wars plagued the Country in it's early days..
1st rouletted series (1877/1878) : I have just this stamp ; the series has two stamps of soft and porous paper... this distinction , in this case is easy to do, because the "hardness" of papers used in the two series is very different...as you can see , this 1c stamp is a type 2.. the other, a 5c is also a type 2..
2nd Rouletted series (1878/1880) : these stamps present a hard paper...I ask you now to look in particular for the 10c stamp, and for the postmark, that present us a good example of a numeral/Letters Postmark, where the letters (District ) appear under the numerals (Year).. the numerals are difficult to read , but they are from the 8? 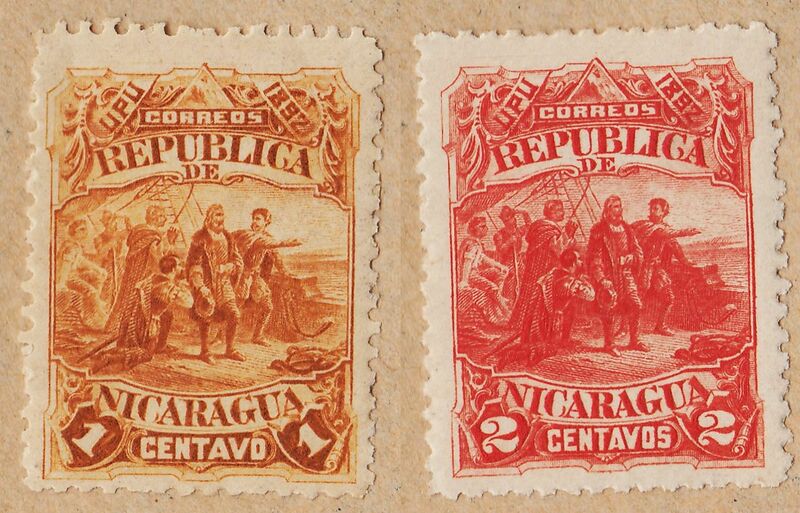 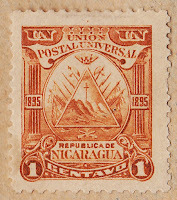 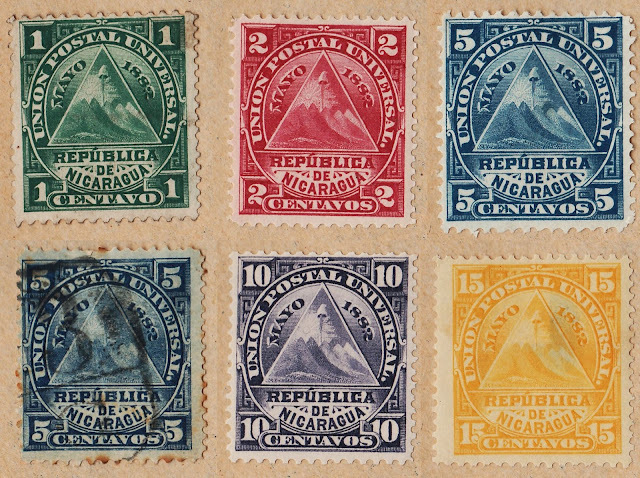 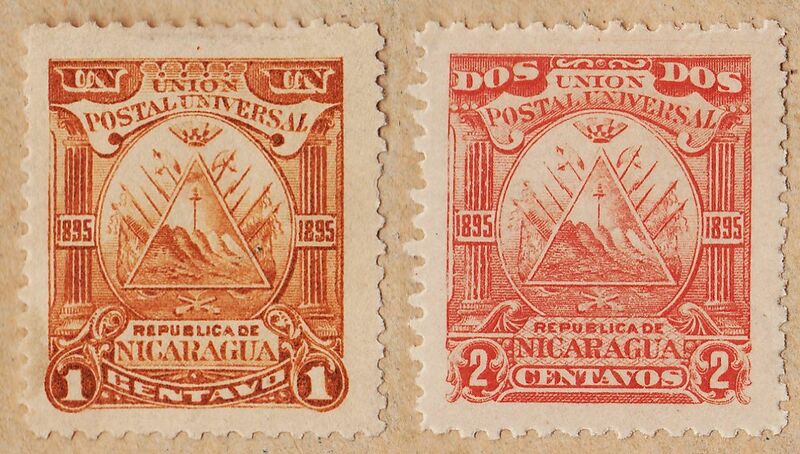 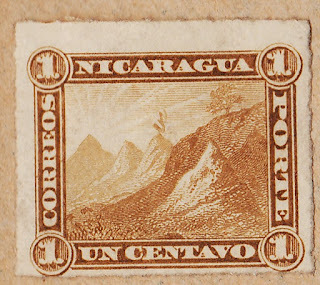 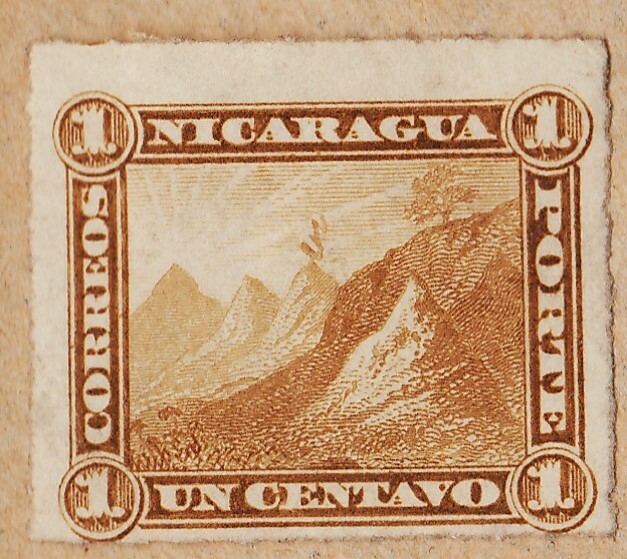 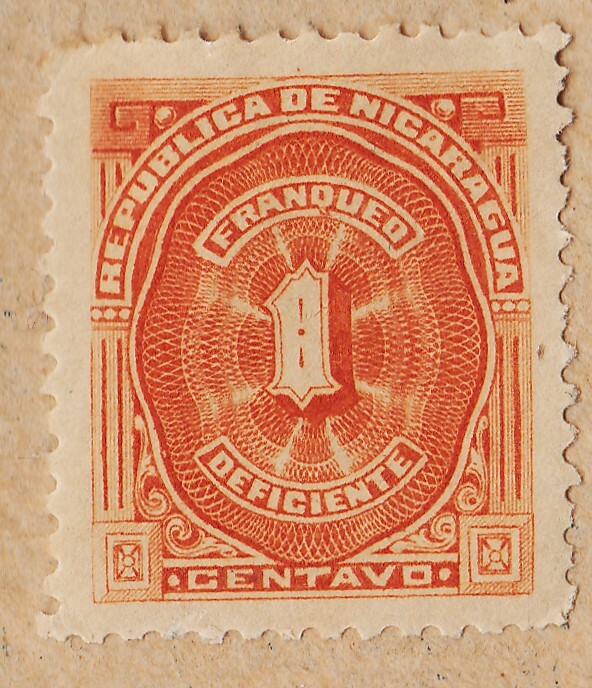 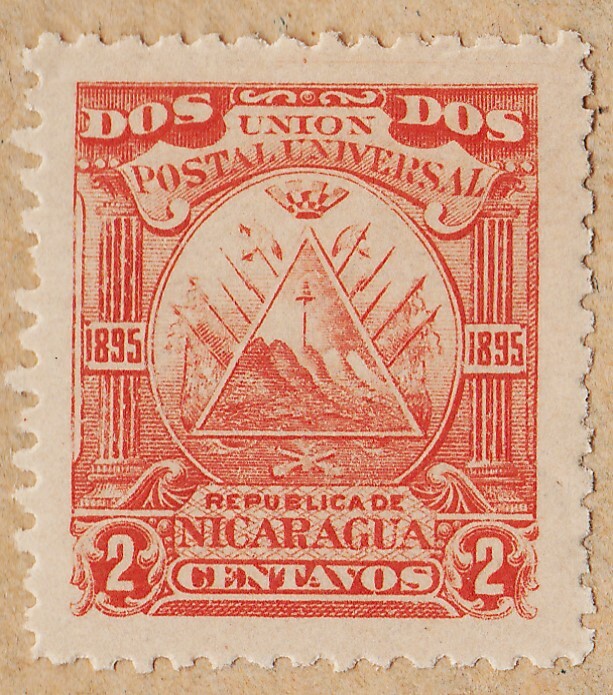 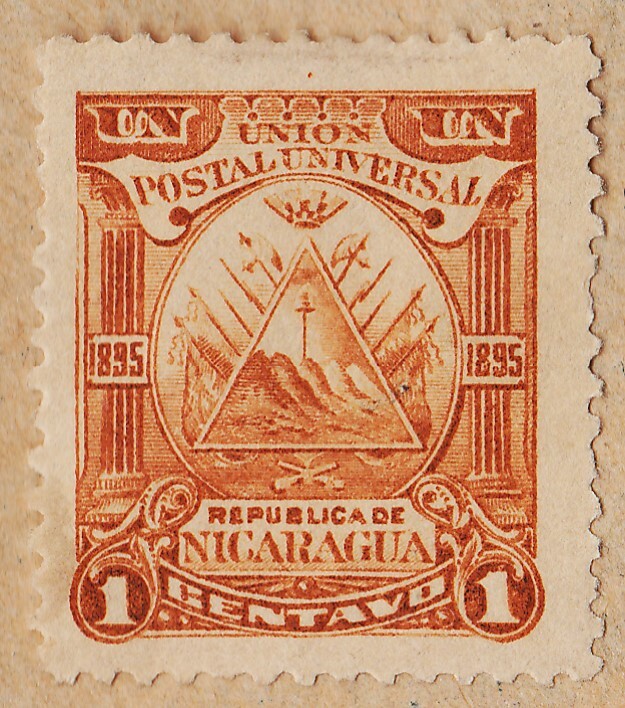 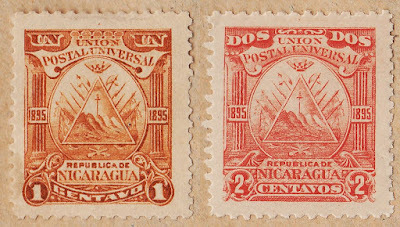 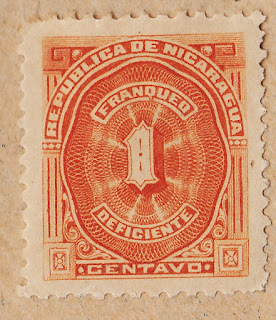 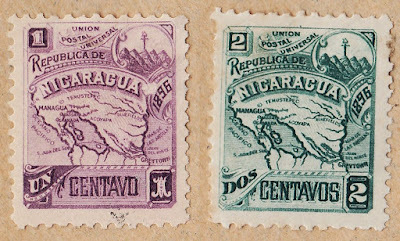 's and the letters are clearly CH from the district of Chinandega...these postmarks appear after 1869 (if you find it in your stamps you know that they are from this series (perforated or rouletted)...You have , for now, already noticed that the 2c is a type 1, the 5c a type 2 and the 10c a type 3 stamp...Finally and to end this brief passage through this Group of series, I need to tell that the stamps are [Recess] printed by ABNC,NY. 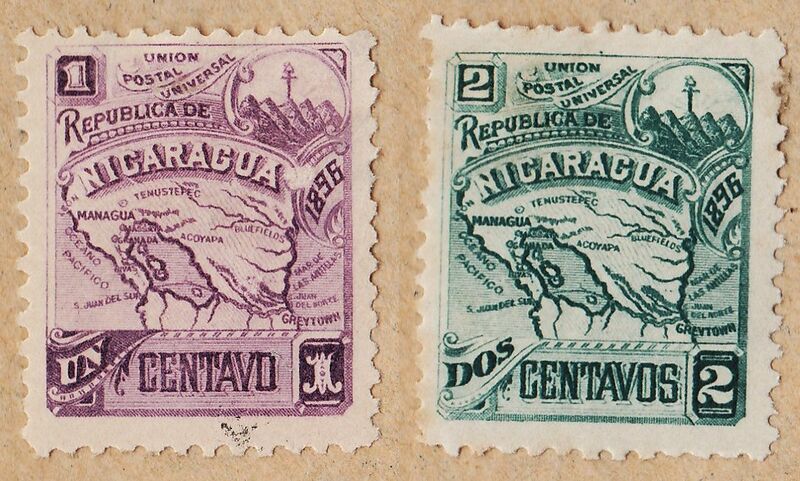 I think that it is now time for a brief introduction to the Seebeck Issues..
it is now time to say that for each one of the Year original series, there is an Official Series , with the overprinting of the originals...both the series, postage and official are issued at the same time (01/01'189? 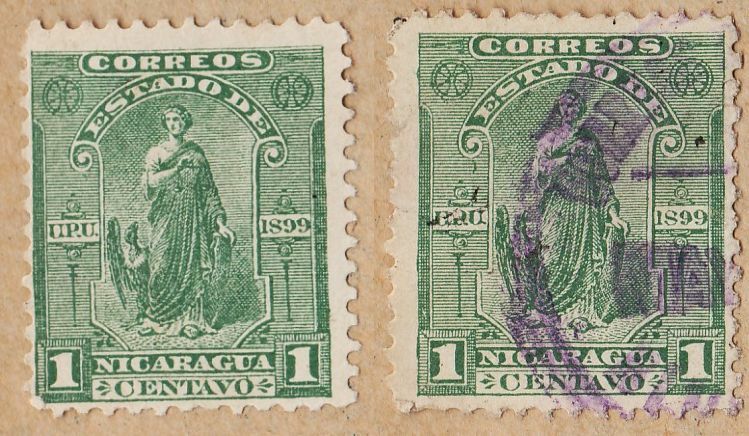 )...I will show a group of this Official stamps , in the end (I don't have an exemplar of each series, so it will be an incomplete presentation).. 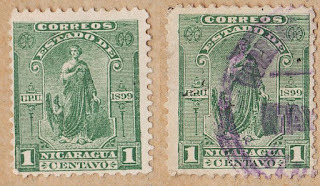 The 1891 issue present us the Goddess of Plenty... it is a very nice work with a very beautiful, easy to follow and simple engraving , elaborated frames , a few simple ornaments.. A nice work! 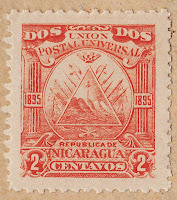 I may even agree with those who say that Seebeck never should have made series with values not connected to reality, with almost no possible postal utilization , but I think we all agree that many , many series were done in the past only for benefit of the collectors..In the end of the XIX Century and until the 30's , stamp production was a very profitable industry and was engaged in many Top governmental negotiations between Powerful and Poor Countries... if the stamps are good, well designed and with good technical quality , why not collecting them?? 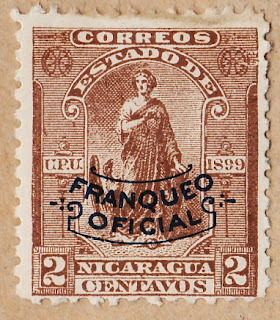 For me , this is a great stamp... a very elaborated frame, where the final result has a certain Pre-Spanish Flavor...very beautiful..! 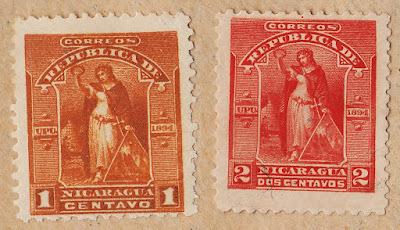 a design representing Victory , with nothing to add to the previous ones... by the contrary, this time the frame is very simple , and the vignette is common.. we are beginning to feel some decrease in the quality of the printings... A poor stamp!..